关注：宋洋“badgirl海洋之巅”个人艺术展 - 【部落新闻】 - 【艺术部落】 - 中国当代艺术门户网! 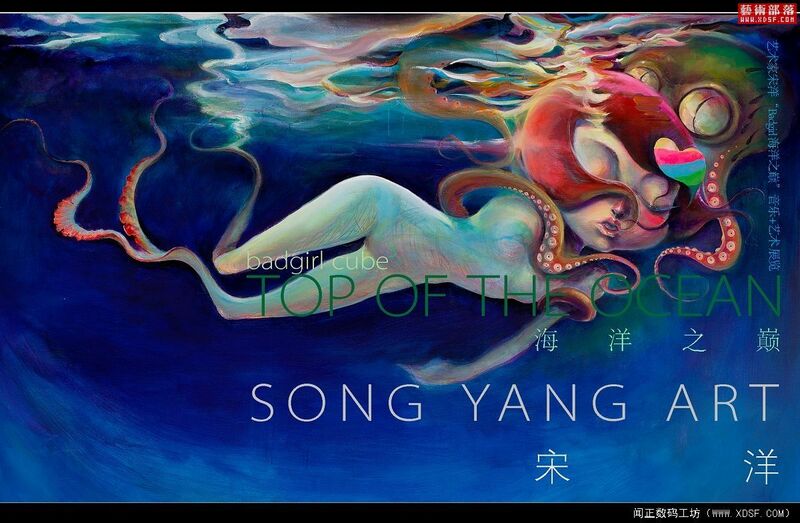 Except oil painting, Song Yang is engaged in comic, design, writing, photographing, and music and other fields. Song Yang has rich and varied experiences on arts. When he was a child, he has already showed his talent in drawings. In his college, his comic books were published and gain good results for a time.The comic books are also translated into English, French, Italy and other languages and published in Europe. His works of art are made the rounds exhibitions in China and gain many awards from many important Comic and Animation festivals in China. Song Yang is regarded as the most popular artist by the medium at that time.What’s more, Song Yang made the music record, which he wrote the lyrics and sang the songs all by himself. And he attended the infomercial performances, too. In the magazine “Time Out Beijing”, there is his long-term special column on fine arts. 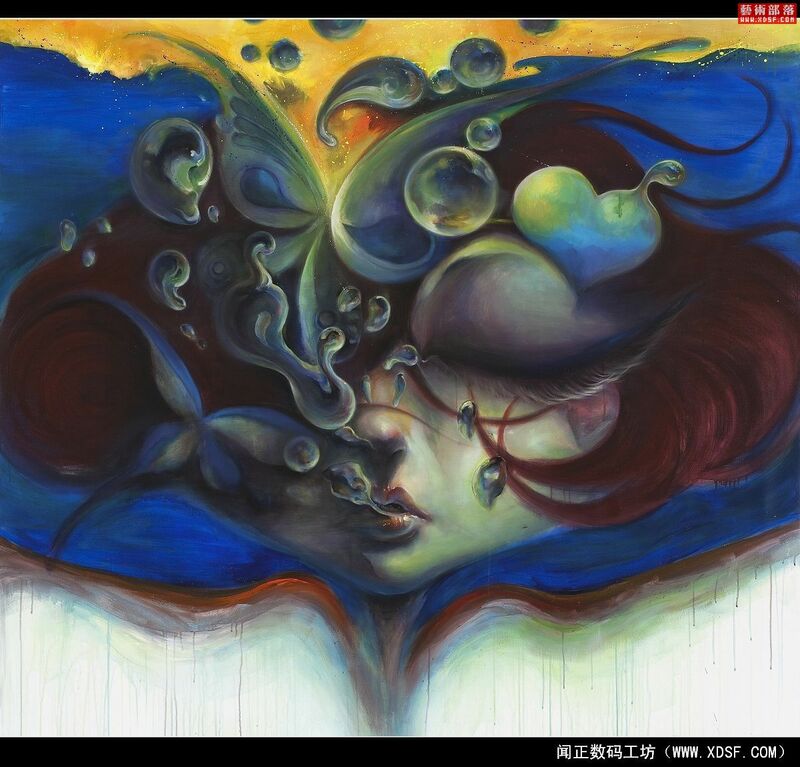 For the column, he has created many drawings to reflect the lives of different people in different levels in Beijing. And those works of art have been reprinted by various mediums at home and in abroad. Moreover, Song Yang is invited to take part in the creation and design activities for many international brand, such as NIKE、ＨＵＧＯ BOSS、Tiger Beer、Swarovski. 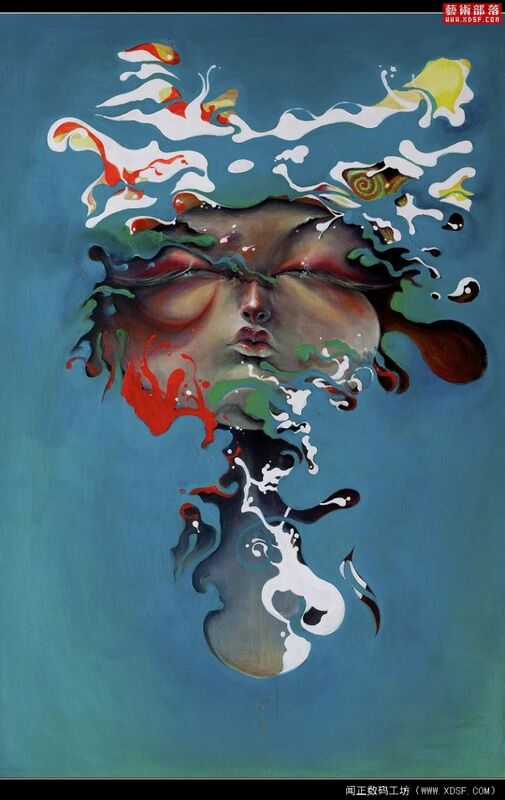 Recently, Song Yang is active in Chinese modern arts creation. His works fly his own colors. In Dec.1999, Song Yang was in charge of the special column “Fashion 2000” of “Youth comic” magazine released by China Fine Arts chief publishing house. In Jan.2000, Song Yang planned and attended the “creative space original comic exhibition” in Urumqi. In Feb. 2000, “Song Yang Personal Comic Exhibition” in Urumqi. In Oct.2000, planned and attended the “Tianjin original comic exhibition” in Tianjin Fine Arts College. In Sep.2001, attended the “Chinese and Japanese Original Comic Exhibition ” in Military Museum in Beijing. In Jan. 2004, the novel edition and comic edition of “ The penguin sitting opposite” are published. In Feb. 2004, attended Nan Jing international comic and animation festival. In April 2004, the comic book “Wild Animal” was published. In May 2004, attended the “2004 Beijing City comic and animation festival”, which is organized by China Central Academy of Fine Arts. In June 2004, attended “2004 Animation festival”, which is organized by Beijing Film Academy. In July 2004, attended “2004 International City Comic and Animation festival” in Shanghai. In July 2004, attended “2004 International City Comic and Animation festival” in Nanjing. In July 2004, the exhibition of Song Yang’s works made the rounds in Tianjin, Xuzhou, Changzhou, Shanghai, Nanjing, Beijing and Singapore. In Sep. 2004, the comic book “Yu Guan Yin” which is adapted by Hai Yan’s novel, is published. In July 2005, Song Yang created the comic picture for Xu Ke’s film “Seven Swords”. In July 2005, attended the 1st Chinese youth original animation and comic competition and gained “The best long-length comic” and “The best art book” awards. In Oct. 2005, came to Singapore for the judgment of “Comic Craziness” activity and for the academic exchanges in Nan Yang Arts College and Singapore Library. In Dec. 2005, gained “Promising Youth” award in Tian Shi Cup comic and animation competition. In Jan. 2006, attended the “International Angouleme comic festival” in France for the forum and promotion of his French edition comic books. He had a chance to exchange ideas with Superman’s father Jimlee and Mobius. In Jan. 2006, the magazine “Time Out Beijing” set up the special column “Song Yang’s people” for Song Yang’s drawings. In April, attended “Time Out” exhibition in Season gallery in 798 Arts center. In May 2006, The comic works “Wild Animal” with 2 books published in French and Italy versions and have been realized in Europe. In June 2006, attended the “On Line” drawings rounds exhibitions in Li Tou space in 798 Arts center. In Sep. 2006,the comic books with four strips “Bad Girl” published. And the monopoly shop with the same name is opened in Beijing So show comic and animation city. In March 2007, set up Song Yang Fine Arts Culture Development Co., Ltd. 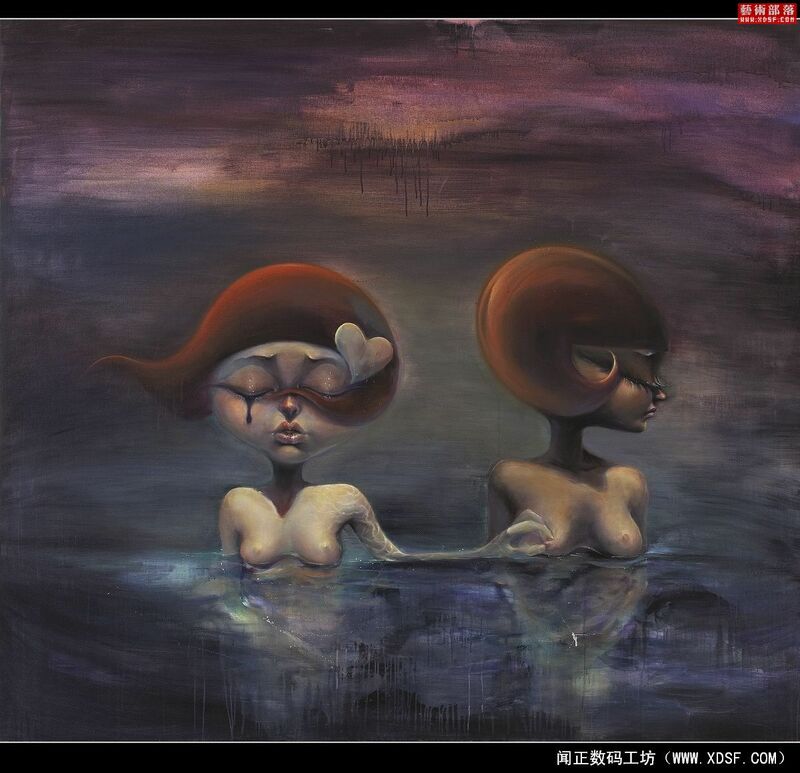 In May 2007, held personal oil painting exhibition “BADGIRL” in Si He Yuan project space in 789 arts center in Beijing. In July 2007, attended Tiger Translate Intentional Arts Creation activity in Time Space in 798 arts center in Beijing. In Oct. 2007, “John Harrison and Songyang ” exhibition in Si He Yuan project space in 789 arts center in Beijing. In Nov. 2007, attended the 1st International Comic and Animation creation industry trade fair in Anhui and was the judgment of the competition. In Dec. 2007, he was the judgment of the comic and animation competition of the 1st International Comic and Animation creation industry Expo in Tianjin. In Jan. 2008, he was the judgment of “Making Drawings for the cards of Bank of China in three places- 2008 Bank of China Comic and Animation works on Olympics Collecting competition. ” in Beijing. In May 2008, attened International Comic Saloon in Germany. In June 2008, SongYang came to France for the signature activities for his comic book “Reload”. In July 2008, be the judgment of Mascot Designs Collecting Competition of “26th World University Sports”. In Jan.2009, taken photos for NIKE new cloths products of 2009,ShangHai. In Feb.2009, attened the signature activities for his comic book in Europe. In Apr.2009,came to Pari for the signature activies. In May.2009,attened the Italian Comics Festival, Naples. In May.2009,Attened the“Milano Made in Design” in Italian. In May.2009,Attened the exhibition of“Foolish Game”,Korea & BeiJing. In Jun.2009,Attened the exhibition of “100 Tales in Animamix” in National Art Museum of Indonesia. 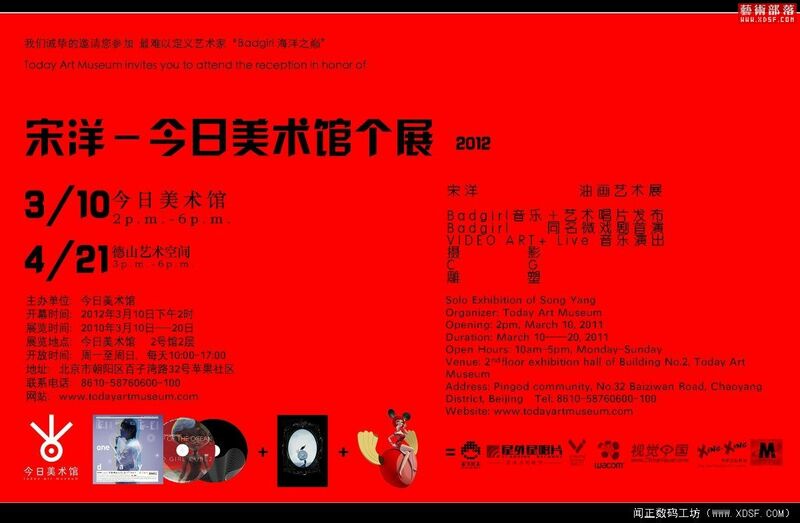 In Jul.2009,Attened the exhibition of“WOW!Neo-Wave Art”in Ullens Center for Contemporary Art in BeiJing. In Feb. 2009 worked with Universal Music France contracted singer Jena lee as drawing author for her MV. In Mar. 2010 held Song Yang Solo Exhibition in GALLERY TN, a Korean gallery in 798 art district in Beijing, as part of the Bad girl Music&Art Project. In Mar. 2010 held the theme salon of the Bad girl Music&Art Project in UCCA in 798 art district in Beijing and was one of the speakers. En plus de peinture a l’huile, Song Yang est engag&Egrave; dans le comique, la conception, l’&Egrave;criture, la photographie, la musique et des autres domaines. Song Yang a des exp&Egrave;riences vari&Egrave;es et riches sur l’art. Quand il &Egrave;tait tr&Euml;s jeune, son talent de la peinture s'est d&Egrave;j‡ pr&Egrave;sent&Egrave;. Au cours de l’&Egrave;tude universitaire, il a publi&Egrave; plusieurs bandes dessin&Egrave;es de plus que la rage, qui sont traduit en plusieurs langues comme l’anglais, le fran&Aacute;ais, l’italien, etc. et sont publi&Egrave;es en Europe. Ses ouvres d’art sont mis en exposition itin&Egrave;rante du pays et ont gagn&Egrave; nombreux prix dans beaucoup d'exposition importante de peinture et de dessins anim&Egrave;s. Il est consid&Egrave;r&Egrave; comme &acute;†un artiste le plus populaire et c&Egrave;l&Euml;bre†&ordf; par des media. En plus, Song Yang fait des disques de musique dont les paroles sont &Egrave;crites et chant&Egrave;es par lui-m&Iacute;me. Il assiste aussi ‡ des concerts non-commerciales. Dans le magazine &acute;†Time Out Beijing†&ordf;, il y a une rubrique de long-terme lui appartient et Song Yang y a cr&Egrave;e beaucoup de peintures qui refl&Euml;tent la vie des gens diff&Egrave;rents ‡ P&Egrave;kin. Ces ouvres sont reproduits par nombreux de media internationales et locales. Il a &Egrave;t&Egrave; invit&Egrave; ‡ participer aux activit&Egrave;s de cr&Egrave;ation et de design des grandes marque internationale comme Mercedes-Benz, Swarovski, NIKE, HUGO BOSS, Tiger Beer, Yue-Sai, etc. Maintenant, Song Yang est tr&Euml;s active dans le domaine de l’art modern de la Chine, et il a hisse sa propre banni&Euml;re. 1999 Dec. Rubrique &acute;†fashion 2000†&ordf; sur &acute;†Comic des jeunes†&ordf; &Egrave;dit&Egrave; par People’s Fine Arts Publishing House. 2000 Jan. Il a organis&Egrave; et particip&Egrave; au &acute;†Exhibition de comics original cr&Egrave;ative†&ordf;, Urumqi. 2000 Oct. Il a organis&Egrave; et particip&Egrave; au &acute;†Exhibition de comics original†&ordf; dans l’Acad&Egrave;mie d’art de Tianjin. 2001 Sep. Participer au &acute;†Exhibition de comics originales entre la Chine et le Japon†&ordf;, Mus&Egrave;e de Militaire, P&Egrave;kin. Fev. Participer ‡ la f&Iacute;te de comics international ‡ Nanjing. Sep. La bande dessin&Egrave;e de &acute;†La d&Egrave;esse en jade†&ordf; (un roman de Hai Yan) est publi&Egrave;e.
2005 Dec. Il a gagn&Egrave; le prix de &acute;†jeune prominent†&ordf; dans le Tianshi Cup Comic & Animation Comp&Egrave;tition. 2006 Mai. La bande dessin&Egrave;e de &acute;†L’animal Sauvage†&ordf; est publi&Egrave;e en italien et au fran&Aacute;ais en Europe. 2006 Juin Participer ‡ l’exhibition &acute;†On Line†&ordf; , au centre d'art de 798, p&Egrave;kin. 2006 Sep. La bande dessin&Egrave;e de &acute;†Bad Girl†&ordf; est publi&Egrave;e. En m&Iacute;me temps, le magasin franchise de &acute;†Bad Girl†&ordf; est ouvert ‡ la ville de comics et dessins anim&Egrave;es &acute;†So Show†&ordf;, p&Egrave;kin. Jan. Song Yang &Egrave;tait l’image de†l'avenant de &acute;†Free Creation†&ordf; par le parfum d’homme de Hugo Boss en Chine. 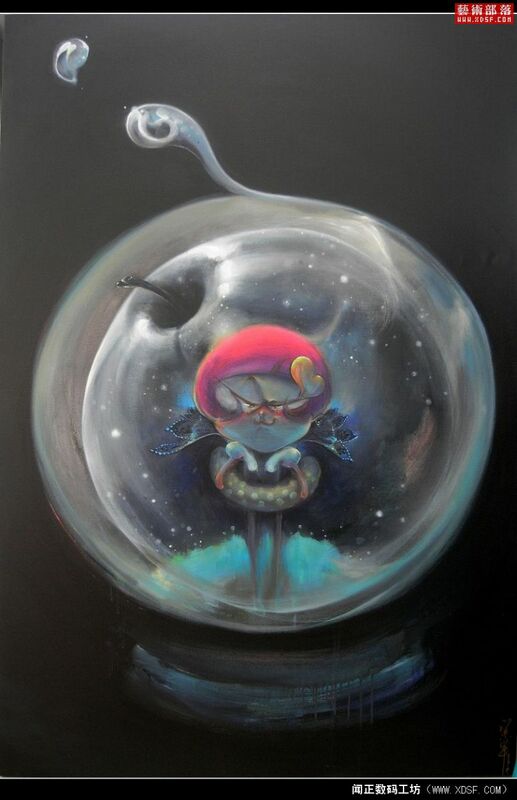 2007 Mars Song Yang Fine Arts Culture Development Co., Ltd est &Egrave;tabli. 2007 Mai Exhibition personnelle de peinture d’huile &acute;†Bad Girl†&ordf; au centre d’art de 798, P&Egrave;kin. 2007 Juil. Participer ‡ l’activit&Egrave; internationale de cr&Egrave;ation d’art &acute;†Tiger Translate†&ordf; ‡ Time Space, centre ‘art de 798, pekin. 2007 Oct. Exhibition &acute;†John Harrison et Song Yang†&ordf; au Si He Yuan project space, centre d’art de 798, Pekin. 2007 Nov. Jury de la comp&Egrave;tition de comics et dessins anim&Egrave;s dans la 1ere exposition Internationale de l'Industrie de Comics et Dessins Anim&Egrave;s, Province de Anhui. 2008 Jan. Jury de &acute;†comp&Egrave;tition de comics au sujet de 200 l’Olympiques et BOC†&ordf;, Pekin. 2008 Mai &acute;†International Comics Saloon†&ordf;, Allemagne. Juin Activit&Egrave;s de signature pour le nouveau livre de comics &acute;†Reload†&ordf;, France. 2008 Aou. &acute;†El&Egrave;gant†&ordf;——La tour des exhibitions de peinture d’huile de Song Yang. 798, P&Egrave;kin. 2008 Sep. &acute;†Art Beijing 2008†&ordf;, P&Egrave;kin. 2008 Sep. Exhibition &acute;†Nous aimons le sport†&ordf; 798, P&Egrave;kin. 2008 Nov. Le Magasin des meubles de Song Yang Art est ouvert au DARA 798, P&Egrave;kin. 2008 Dec. Exhibition &acute;†Mill d’art†&ordf;, P&Egrave;kin, Singapore, Indonesia. 2009 Fev. Activites de signature pour son livre de comics, Marseille, France. 2009 Avr. Paris, APU, La tour des activit&Egrave;s de signature, France. 2009 Mai. Participer a la f&Iacute;te internationale de comics et dessins anim&Egrave;s en Italie &acute;†COMICON†&ordf;, Napoli, Italie. 2009 Mai. Invit&Egrave; ‡ l’exhibition de d&Egrave;signe, Milan, Italie. 2009 Avr. Exhibition de l’art de comics, P&Egrave;kin et Indon&Egrave;sie. 2009 Juil. Exhibition &acute;†WOW†! Neo-Wave Art†&ordf;, UCCA, P&Egrave;kin. 2009 Dec. Peinture et conception pour le MV de Jena Lee, Univeral Music, France. Jan, Invit&Egrave; au festival international de†la Bande Dessin&Egrave;e, Angoul&Iacute;me. 2010 Mars &acute;†Bad Girl†&ordf;, Projet de la musique et de l’art, exhibition de peinture d'huile, GALLERY TN, Cor&Egrave;e.
2010 Mars &acute;†Bad Girl†&ordf;, Projet de la musique et de l’art, UCCA, P&Egrave;kin. 2010 Avr. Tiger Translate, Melo Dramas + Song Yang, P&Egrave;kin. GMT+8, 2019-4-21 20:30 , Processed in 0.120455 second(s), 23 queries .